Just because you want something that won’t leave you in an oily stupor on the side of the road doesn’t mean that you’ll have to empty your bank account to do it. Last week I asked you to find the most dependable cheap cars on eBay, and you delivered on time, and most importantly, under budget. You can’t afford not to have one of these things in your garage. 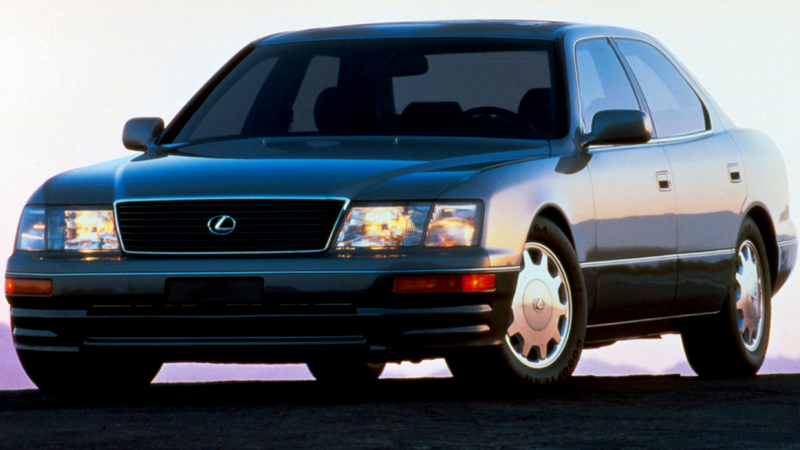 This Acura Legend is built on an almost perfect platform. It’s a car that was made by Honda in the early-to-mid 1990s, has a V6 engine that sounds better at full throttle than most anything made by a major manufacturer today, it’s fairly well-appointed, even by today’s standards, and it’s a rolling time capsule. This Honda CRX Si marked the start of the hot hatch wars in America. Sure, the Golf GTI was available earlier, but it only got its first formidable mass market competitor with Honda’s little hatchback that could. This Buick Century is the car your grandma drove when you were in elementary school, and it’s the one she still had when you went to high school. It’s also the one that she tried to give to you as a graduation gift while you desperately tried to convince your parents to get something that didn’t cement your virginity for the next decade. This Toyota Tercel is an awesome car, and I write that without a hint of irony. Although I may have poked fun at the impossibly cheap econobox in my youth, it has taken age and maturity to realize that any car made 30 years ago with the same reliability it had when it left the factory is something to be admired. This Toyota Corolla needs no introduction because if you took a gander outside, you’d see at least five parked down your block. It’s the tastes-like-chicken car that at least one person in your family has owned and likely passed down to an arguably less-deserving member of your family. It will never die because it was never programmed to fail. This Pontiac Vibe isn’t exactly as American as its apple pie name would have you believe. In fact, it’s a Toyota Matrix underneath, so that means parts are just as cheap as any Corolla you’d find on Craigslist. This Ford Crown Victoria is the car that was used by police officers for years, passed on to taxi drivers for years, then passed on to taxi drivers abroad for years, after which it’ll be placed in a demolition derby and win because it’ll be the last car running.